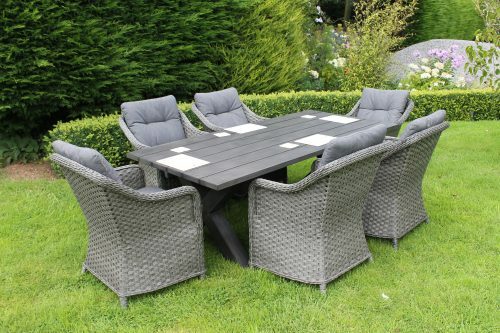 Rattan eight seat dining set with lazy Susan. High back chairs with padded cushions. 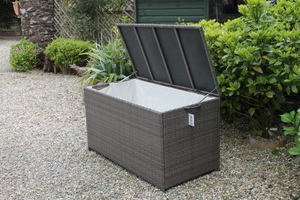 All materials meet Furniture Fire and Safety regulations. 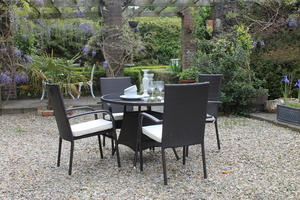 The Monte Carlo eight seat dining set is a very comfortable and generous outdoor dining set. The table has a strudy 8mm tempered glass table top. 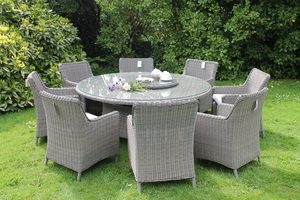 The lazy susan makes for very sociable and relaxed outdoor dining. 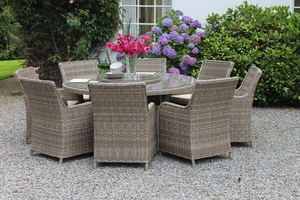 Patio furniture has never looked so good!